Castration and electrocution are two ground-breaking new ways of tackling invasive plant and animal species being trialled in Exmoor National Park, highlighted as part of Invasive Species Week recently. Japanese and Himalayan Knotweed are two of Britain’s most invasive weeds and they have caused extensive damage to several of Exmoor’s most precious watercourses, such as the Lyn, Heddon and Barle – all Sites of Special Scientific Interest (SSSIs). A ten-year collaboration between Exmoor National Park Authority, the Environment Agency, Natural England and the National Trust to try to control the problem has proved highly successful, with the plant now being managed across an area the size of six Wembley football pitches, thanks to the support from local landowners. Exmoor is now among a handful of UK sites where a pioneering new method of control is being trialled, involving electrocuting the weed’s root system. It is hoped the new approach will avoid the need for repeat spraying with herbicides, which can impact the environment, although not nearly so much as the plants themselves. Elsewhere on Exmoor’s waterways, another non-native invasive species is being dealt a tough blow. An estimated quarter of a million North American signal crayfish inhabit the River Barle, with potentially devastating consequences for our native wildlife. 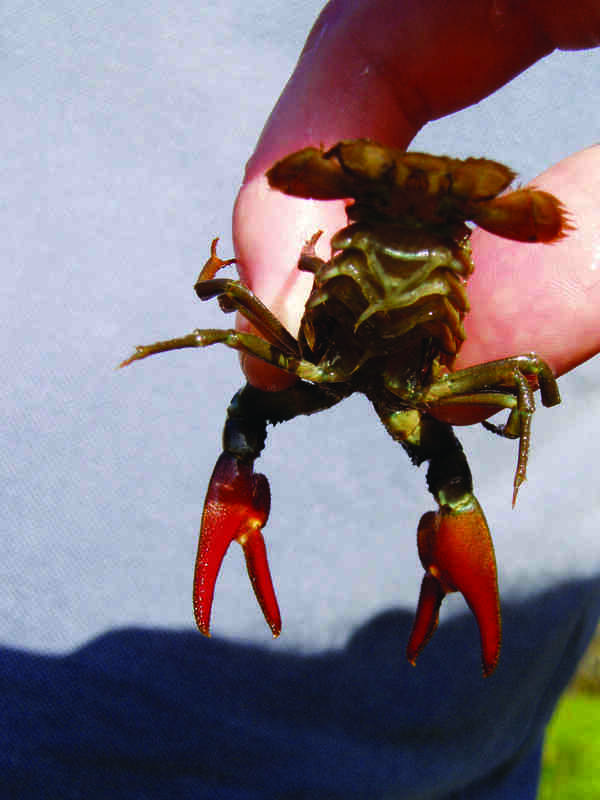 The River Barle Crayfish Project is now tackling the problem in an innovative new way never before tried outside of captivity – by castrating the larger, more dominant male signal crayfish. After this harmless procedure, they are returned to the river where it is hoped they will continue to outcompete smaller males to control breeding. Later this year findings are due to be published on the project – which exists as a partnership between Exmoor National Park Authority, the Environment Agency and the River Exe & Tributaries Association. Ali Hawkins, Wildlife Conservation Officer at Exmoor National Park Authority, said: “It’s great to be trialling innovative new techniques like these that could potentially help with the problem of invasive species on Exmoor, without further damage to our delicate ecosystems. People wishing to volunteer for these two projects and others like them can find out more at www.exmoor-nationalpark.gov.uk/get-involved.